Bicycle Birder On The Axe: Nightjar, short eared owl and some pink feet. 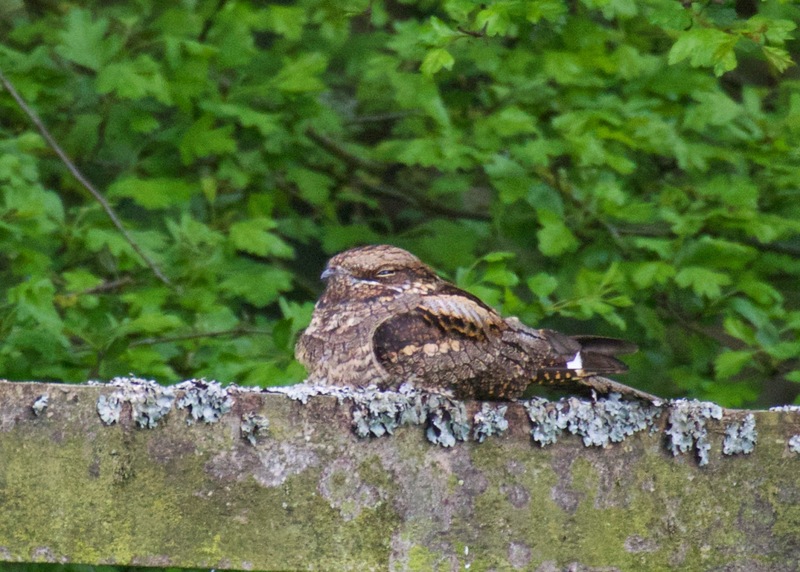 Nightjar, short eared owl and some pink feet. Last night I was so fortunate to be given the opportunity to see rather an unusual garden bird. 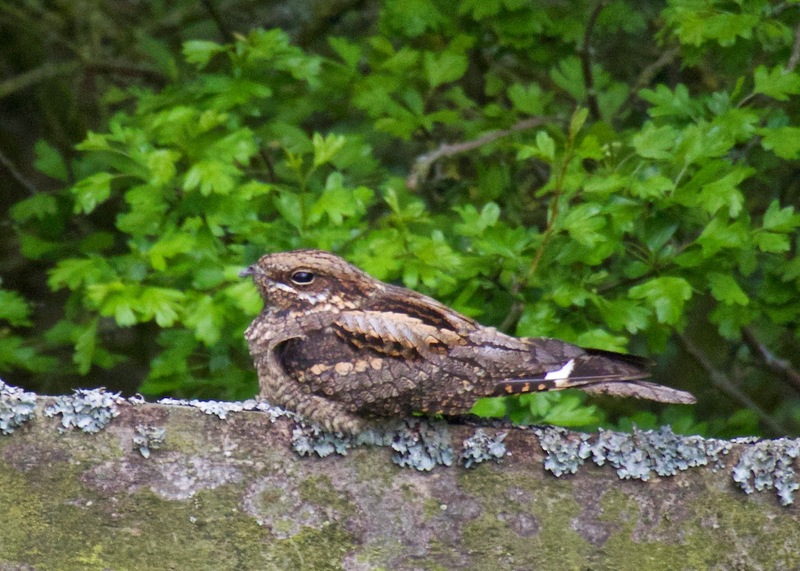 A nightjar was sat in typical pose along a fence within a local private property. Am very grateful to have been given the chance of such a great view. I have only ever seen them flying before when almost dark so have never been able to see such detail. Having said that the light was pretty poor as it was getting darker on an already dull evening but my little nikon V2 did admirably under the circumstances. It was way to dark for my dslr so did not even try it. Not a great variety photo wise I'm afraid as it did not move much but it was lovely to see. It finally flew just before dark. Next a few more photos from the last week of the short eared owl which appears to have now moved on. It gave a great show on Black Hole Marsh while it was here. 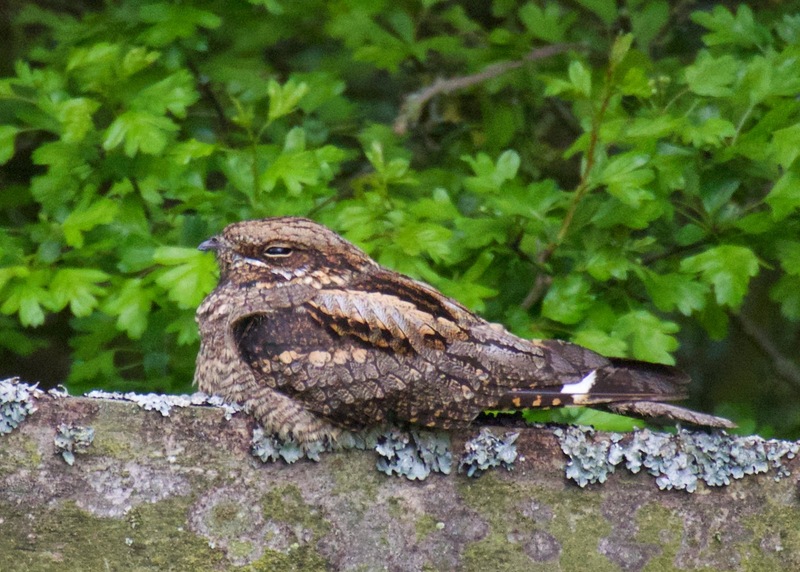 Wow to the Nightjar! Brilliant opportunity. I also added a link to your Blog on mine.